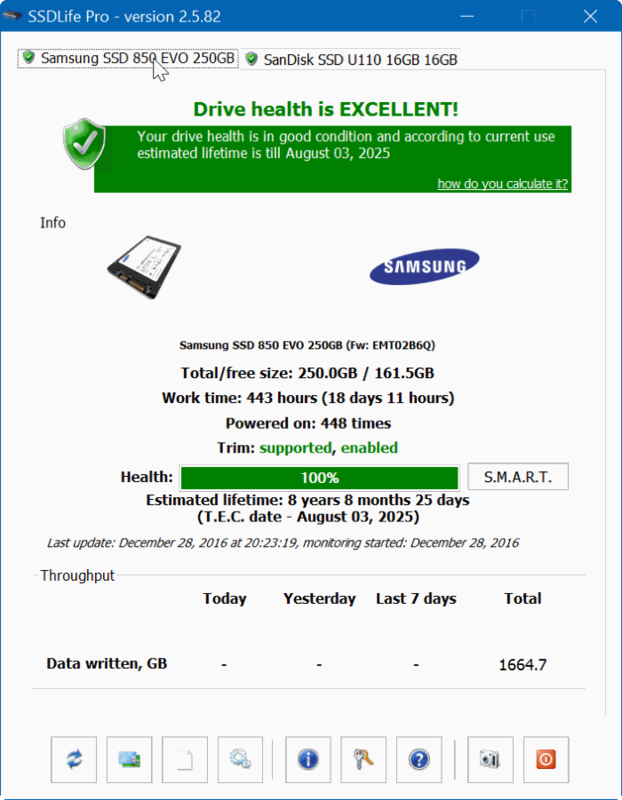 Do you want to check the health status in your SSD disk? Well, I will show you a list of the best SSD health check tools. Checking the state of your storage units, whether they are SSD or hard disk, should be a priority for us as PC users. By doing so, you can avoid unexpected data loss due to unit failure. There are free tools that can help us avoid that situation, and in this post, I will talk about them. The problem of the failures of the SSD disks is usually one of quite a sophisticated solution for the users. A company can always resort to contract the recovery of this data to another company specialized in this task. But these companies charge a lot of money for every GB of information recovered. And, depending on the type of failure of the hard disk or the SSD, it is not always possible to retrieve all the stored data. To avoid this problem, you can resort to the use of free SSD health check tools that can inform you of the state of your units. In the case of starting to detect problems in them, these tools can warn you so that you can replace the unit with a new backup, and you can dump all the information from the old to the new one. CrystalDisk Info is a free SSD health check tool that can satisfy all kinds of users, from the inexperienced to those who have the necessary knowledge to know the performance of your computer. Also, it is essential to take into account that this tool allows us to know many things about your unit. Many times, you do not realize that your SSD may have errors or is overheating; therefore, it is a topic for you always to be careful. It has a series of options that help to know the performance of the team and something to take into consideration is that CrystalDiskInfo does an exhaustive but elegant analysis of your unit. One of the things that you need to take into account is that through this SSD health check tool, you will receive a complete report where you will know from the serial number of the hard disk, temperature, as well as reports about possible failures that exist in the unit. The best of all is that in most cases, you can solve this issue because it has a series of improvements that will allow the computer to be in an excellent condition and if there is a problem in the unit, get to solve it quickly. The SSD health check tool is available for the Windows operating system in different versions. You can even find it directly for Windows XP or Vista, in case it is necessary and you have this operating system. As regards the latest versions of operating systems, you will also find it available. Something for you to keep in mind is that CrystalDiskInfo, the most advisable thing is that you download it directly from the official site to avoid virus problems or that you end up downloading an app that isn’t the one you need. The size of the app is minimal, so it is almost certain that you will not have problems when downloading and later installing it. Currently CrystalDiskInfo, free tool to analyze Hard Disk very complete and the most appropriate thing is that you can get the download link from a reliable site, because many times you end up infecting our computers, for downloading on sites of little popularity or that only affect us with your malware on the computer. 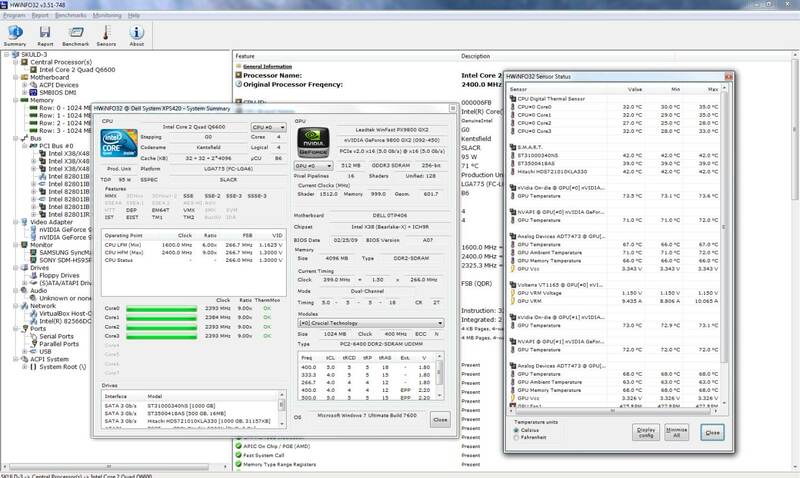 This SSD health check tool is more focused on reading the data of the SSD units. As such, it will only serve to give you a warning if your unit begins to reach the limit of its useful life. In this case, the program will show you a warning of the problem, suggesting that you change the unit as soon as possible with a new one. If you are one of the lucky ones who have SSDs on your PC, now you can control the health of them with an SSD health check tool. SSDLife is available for Windows XP, Vista and Windows 7, for 32-bit and 64-bit systems, and in a free and a somewhat more complete payment version. Although for most mortals is not enough with the information that shows us the free version. This is HWiNFO, a free SSD check health tool, that from the moment you execute it, you will realize that this is a compelling app. As a computer technician, it is essential to know in detail the characteristics of the equipment with which I work, and the tools that Windows brings, give inferior results, that’s why I always choose to use third-party apps, means that give me more information of what I need. For example, HWiNFO is the tool that every computer should know because as its name says, it shows information about its Hardware, but not only that, but it also shows information about the drivers installed on the computer, as well as real-time monitoring showing results in detail and accuracy. It is necessary to take into account that if you have a computer with an exaggerated age, HWiNFO has a DOS compatible version. Fundamental feature that other applications do not count. HWiNFO is a powerful and advanced tool for general analysis of hardware, diagnostics and information for Windows, with which you will not only know the necessary knowledge of your computer, but you will obtain in detail and even more than you didn’t imagine knowing. If you have not made a diagnosis to your SSD drive, it is time to do it now. HWiNFO is available for 32-bit, 64-bit and DOS machines, and also in Portable version. 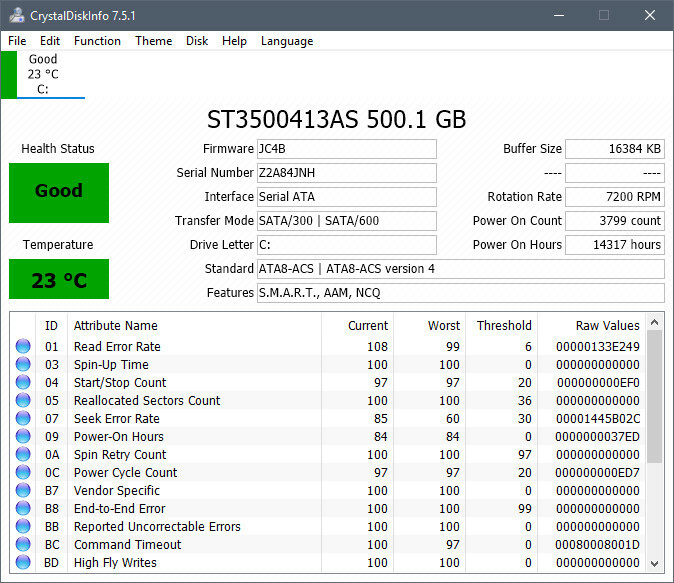 SSD Tweaker is an SSD check tool that let you configure Windows options (cache, superfetch, hibernation, etc.) 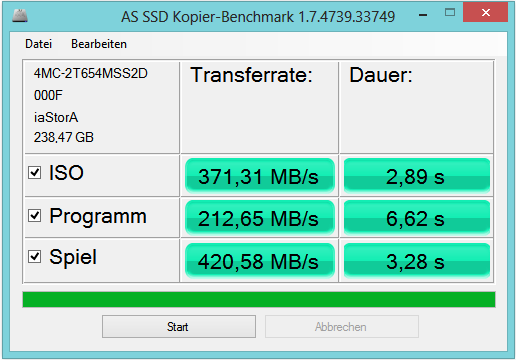 so that our SSD disk works faster and smoother and with less load. Also, all the options that you configure can be restored. SSD Tweaker, is available in several languages, for Windows XP, Vista and Windows 7 systems (32 and 64 bits ). SSD Tweaker is a free program compressed in a ZIP file, with which you can disable superfetch, configure the system restoration, hibernation, disk cache, etc. In summary, this lightweight tool can help us to deactivate all Windows options without having advanced knowledge and what our SSD disk needs. To work better and with less load, since as you know, this type of discs needs a little help from the user so that the drive works better and its useful life is longer. For example, the Windows paging file helps us to store data temporarily. If you deactivate the paging file, you will have more virtual memory, and you will obtain a higher speed in the times of power off and on of the system and the SSD disk at the same time will not have so much load with this feature disabled. With the indexing, it happens similarly. Indexing helps us to search for files more quickly, but you can also verify that it needs a lot of time to perform this operation, on an SSD the indexing can be disabled since the disk is faster and doesn’t need so much time to search files (it is something for each user’s choice). Also, if you see that you don’t notice improvements, we can restore the changes by merely covering the configuration we have made with SSD Tweaker. 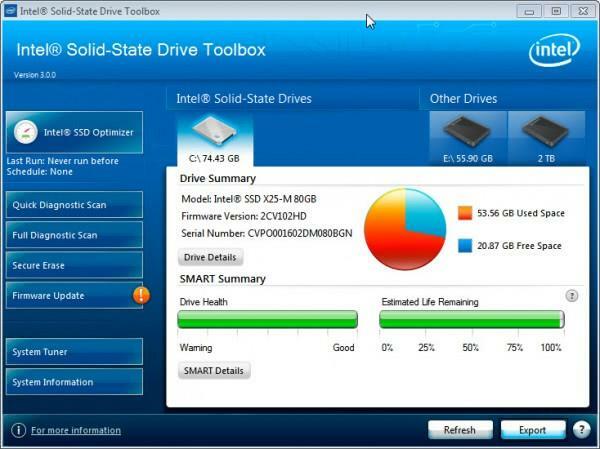 AS SSD is an SSD health check tool that let you perform writing and reading tests on your SSD disks. The latest generation of hard drives has a more than acceptable performance, but at the same time, I’m convinced that no new computer should be assembled or placed on sale without an SSD. On the other hand, solid state drives are an excellent upgrade for older systems, reproducing their benefits even when working under old interfaces such as SATA2. Now, the question is: What kind of speed should we expect? The final answer depends on a long list of factors, and it all starts with a good benchmark program for SSDs. At first, glance, AS SSD Benchmark has nothing to envy to its direct rivals, offering the user reading, writing and access time tests, with blocks of 1, 3, 5 and 10 GB. The program assigns an overall score to the total read and write results, which makes it easier to compare one SSD with another. In the upper left part of the interface, AS SSD Benchmark reports the brand of the SSD, its internal code, and two fundamental values: The mode of operation and the alignment. If for any reason the SSD is working in IDE mode, the first entry will be marked as “bad.” The same thing will happen if the SSD partition is misaligned, a widespread problem when partitioning disks in old versions of Windows(XP, for example). This Intel SSD health check that you can download for free is something similar to ones above, and therefore it will also help you to optimize the hard drive. In addition to that, it will help you to clean it since the Intel disks don’t eliminate the garbage by themselves, which will leave you more free space and will make it last longer. This is an excellent SSD health check tool that you can download for free but is only compatible with the SSD disks with the same brand. The only utility it has is to update the firmware of the drives and a few functions, and only if they are connected as a secondary unit. This leaves out the disks in the raid or those that you have as primary. It is not too useful, but it is still the best there is today. So far those were the best tools to check the health and performance of your SSD units. You can download any of these tools for free using the links above. Do you use another tool to check the health on your disks? Let me know in the comments section.